Many people think counseling is only for those with mental health issues or only for women. Nothing could be further from the truth. The truth is nearly everyone can benefit from meeting with a reputable counselor — including men. When mesothelioma rolls into our lives like a boulder threatening to crush us, counseling can provide a much-needed reprieve. We all face difficulties in life, and speaking with a counselor for help along the way is invaluable. But sometimes men need an extra nudge in this direction. I interviewed Drenner to learn more about why some men are so averse to counseling. We also discussed how caregivers and loved ones can help a man in their lives get the emotional support he needs. Question: Is it true men are less likely to seek counseling? A: This is a very true statement. I believe there are several reasons men are less likely to get counseling, and being a guy, I understand where they are coming from. For many men, “help” is a four-letter word. Men usually get help as a last resort, while women generally seek help much earlier. Q: What are some ways mesothelioma patients may benefit from counseling? A: A big advantage to counseling is that it helps individuals process their emotions about the cancer diagnosis in a healthy manner. Strong emotions, such as anger, have a huge negative effect on the individual’s immune system, which only makes the body work harder to fight the cancer. Therapy can also help the person with cancer view their life in a different manner. I have seen many times how battling cancer has had a positive, life-changing effect on the individual by giving them a new perspective on life. Q: Would you encourage men who are dealing with a mesothelioma diagnosis to seek counseling? A: I recommend anyone with any type of cancer to seek not just counseling but also help through a support group. The more mental and emotional help the individual gets to face their cancer, the more likely they are to meet the challenges cancer presents in a healthy manner. Q: What topics would you cover when counseling a man with mesothelioma? A: Of course, that depends upon the person in question, but there are a few general approaches that I take. First, I get them to talk about other difficulties they have overcome in their past to give them hope they can face their current challenge and be successful. Once we discover that, we just apply it to the current situation. I will also get them to identify their feelings about their diagnosis, not just what they think about it. Men in particular must understand that dealing with cancer is not just a physical and cerebral process. Emotions play a major role in fighting cancer as well. Men typically understand this concept as it relates to sports but have difficulty applying these principles to a fight with cancer. Q: Is it a good idea for women (wives, daughters, sisters and friends) to try to convince a man in their lives to seek counseling after a mesothelioma diagnosis? A: I would say it’s a great idea. How they go about the convincing, however, is very important. Nagging and manipulating will only backfire and make a man more resistant. Some men can be very stubborn and resist getting help, even at the prodding of loved ones. The approach I recommend is to have the man’s significant other suggest counseling. If he refuses, which occurs regularly, I encourage significant others to make an appointment for themselves to get the process started. Once a man sees the benefits counseling offers to their loved one, they are much more likely to get involved in the process. Q: If a man with mesothelioma seeks counseling, would you want to meet with his wife too? A: Yes. I think it’s very important for family members to get their own therapy as well. The roles of caregiver, supporter and cheerleader can be emotionally exhausting. Caregivers are notorious for taking great care of others and neglecting themselves. These family members need help to manage all of their roles and emotions and also learn good self-care habits. Q: How can mesothelioma patients track down a reputable counselor? A: It’s easy to find a counselor, but it can be difficult to track down one who will be helpful for your situation. The best approach is to get a referral from your doctor or someone you know. If these options are not available, try the Psychology Today website. From there, type in your ZIP code, and the site will display therapists in your area. Read the profiles of the listed therapists, and see who in the area has experience dealing with clients with cancer. Most therapists have a profile listed on this site, so there are generally several to choose from. 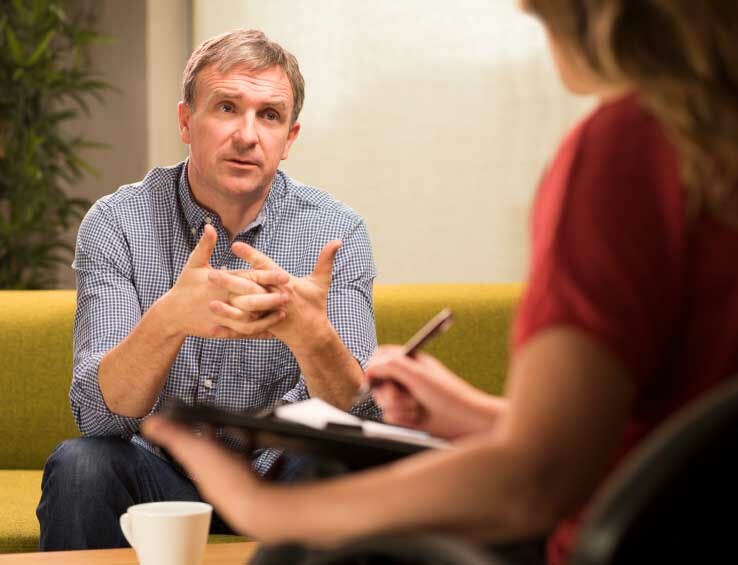 I know from personal experience that counseling really can make a difference whether you’re facing a mesothelioma diagnosis or you’re a caregiver to someone with mesothelioma. Maybe today is the day to take the first step in getting some help.